I'm a London born girl who thought she'd give blogging a go. A freelance writer, literature graduate & lover of all things different. Current affairs, women's rights, turkey, human rights and the kurdish people. and me. #kahkaha Swarms Twitter After Turkish Minister’s ‘laughing ban’ on women. The Dersim Massacre: The story of a Lost Girl. In response to The Daily Post on whether there should be another day in order of a special relative, my answer is yes, a day dedicated to grandparents, or in my case, my lovely grandmother. I call mine “annane” (Turkish for grandma). It literally means mother’s mother. Now I can only speak from my own experience with my grandma. I understand that there aren’t many people who are that close to their grandparents, and truthfully I find that a little sad. I don’t know if it’s down to culture and different ideas on what family is. In my culture family is very important, especially family elders. Grandparents are seen as wise and special, and people you should always be respectful towards. I’ve always had a very close relationship with my “annane”, and so have my siblings. She practically brought us up – of course my mum did too, but my mum’s always been hard at work providing for the family as long as I can remember…and my dad…well not so much. 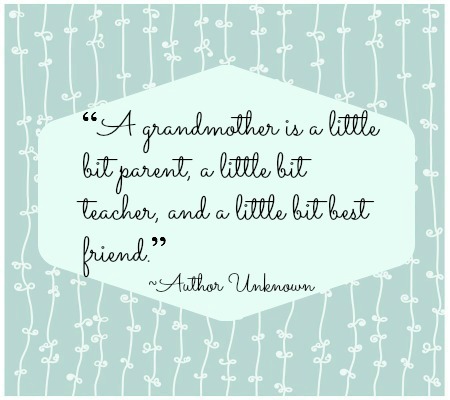 In my opinion grandmothers are like second mothers, and my grandmother certainly is. No one’s love feels as warm and gentle as a grandma’s love. There’s just something special about them. Something kinda magical. My “annane” is the sweetest woman ever, but that isn’t to say she isn’t tough. I love that about her, and I love that combination of sweetness and “I don’t give a damn” confidence that comes with age. I’d love to be a grandmother one day. I’m not really scared of aging. For me grandmothers deserve a day of their own, because they are such strong people. My grandmother came to London when she was in her early 20’s with FIVE kids! Yes five…two more soon to be on the way. She also had an abusive husband who she had never wanted to marry in the first place. At a young age she was basically kidnapped and made to marry him. She came from a remote village in Dersim, north-east Turkey. Eventually she left her husband. Today she’s almost always coming to visit us, and still as passionate and full of energy as ever, with a total of 7 kids, 12 grandchildren plus one on the way, and two great grandchildren at the ripe old age of 62. A phenomenal woman she is! Happy Father’s day…To all the Mothers who’ve played both roles. Today is Father’s day, and I congratulate and respect all the men who have been great fathers to their children. And at the same time, I show the same, if even more respect for all the mothers who have had to play the role of not only mum, but dad too. Because there are a lot of amazing women who do find themselves put in that situation, and it’s damn hard. Not everyone will be able to relate to this feeling, however there are certainly a lot of people who will. You may not be a child of a “single mum”, you may in fact be someone who’s parents are married, but who’s father has never played a significant role in their lives. I have many friends who feel this way, and I know that it’s difficult, as it can leave you feeling upset and confused, with so many unanswered questions in your head. Some of my friends, or people I have had similar conversations with have discussed how although they have lived with both parents, their “family” has always felt like a false portrait of how they really are. A common issue being that many people have felt that their father’s have not ever attempted to bond with them or form a relationship. This leaves children and teenagers, or even grown adults feeling that they have done something wrong, but that is most certainly NOT the case. It’s never a child’s fault if you’ve just basically got a dead beat dad. Let’s just put it out there bluntly and truthfully. All parents owe it to their children to be the best parents they can be. Feel free to leave comments on your own experiences and thoughts.